﻿ Why Java is required for IoT Apps? As technologies such as AI, analytics and automation gain traction, the Internet of Things technology will increase in its enormity of adoption and innovation. With the IoT, the central idea is to connect all devices to each other and to the humans, through the immense potential of the internet. By doing this, we want to capture data from a number of touch points and leverage it to derive insights that can be leveraged for various applications. The Internet of Things technology is far from being a buzzword now. It has dawned on the landscape of reality and Java web development companies are taking long strides in employing the technology to offer exceptional customer experiences. With IoT, it is possible, to bring about customer experience transformation that leads to offering values in applications, that was unimaginable a while back. Governments are leveraging the IoT technology to build smarter cities that have numerous applications for the residents. For employing the IoT technology in all these applications, there is a need for robust applications that can be developed with security and conformity to the data standards in various countries. Thus, it is safe to say that Java is the programming language employed by programmers building IoT applications. Oracle considers the number one advantage that drove these results to be robustness of the application code when developed with Java. C is a language that uses explicit pointers to the reference memory. But, Java makes all object references to be implicit pointers that cannot be changed with the application code. This feature in Java, rules out any possibility of memory access violations which usually cause applications to halt suddenly. Another feature of the Java programming language that comes to mind is that of running the code on multiple platforms. When C is concerned, the developers would need a whole lot of time to migrate the applications in C to another platform. Whereas, Java can run anywhere after the code has been written once. A feature that comes in handy when we talk about the IoT is Java's portability. Steve Jobs believed that Java was a dead language and that no one used it. But, numbers tell us that Java is very much alive and in the trend. 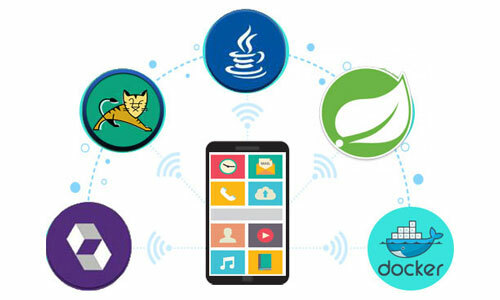 Java also features connectivity at the level of the application. This is achieved through a set of APIs that are standard and freely available from open-source projects. Moreover, add to this the fact that Java was born for embedded applications. It has been around since forever, and developers have been utilizing it as an all-platform application since then. Java has other three qualities that come as a plus as we consider its use for the IoT applications. These are its versatility, universality, and reliability. If there was anything that Java did not have, there would have been a point in reinventing something like it. But, there is nothing, which can be pointed out that does not resonate with the purpose of the IoT technology.